Attaboy is a Christian band and a ministry supported by College Park. 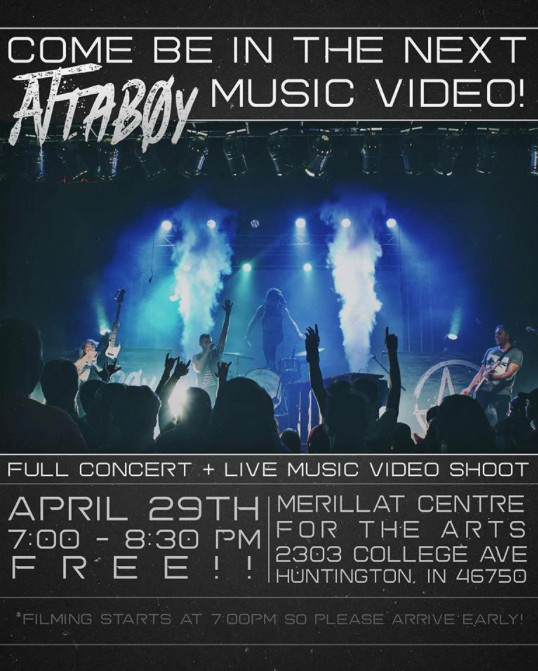 They are preparing for a live video shoot for their new single on April 29th at the M.C.A. at Huntington University & would love to pack the place out. It is a free concert, so come on out and invite as many friends as possible!